The Battle of Ideas hosts a special Debating Matters championship. Known for its rigorous and intellectually challenging format that values substance over style, the event will showcase the very debaters from two UK schools who have been involved in Debating Matters over recent years. The increasing ability of machines in recent years to replicate or even supersede human abilities in complex tasks has been impressive. Already, artificial intelligence (AI) techniques have been used to allow machines to beat the best players in the world at both chess and the Chinese board game Go. IBM’s Watson system has beaten the best human players on the long-running US quiz show, Jeopardy!. While such demonstrations of the potential for AI are intriguing, there are now more and more real-world applications for AI systems. For example, voice-recognition systems like Amazon’s Alexa and Apple’s Siri use AI techniques to learn what the most suitable answer to our questions might be. Driverless cars cannot be pre-programmed for every eventuality, but need to ‘learn’ through experience using AI. Combined with huge datasets, AI-enabled machines could learn to interpret x-rays and other scans, making diagnosis quicker and more accurate. But the implications for society are only just becoming apparent. In 2015, the Bank of England’s chief economist, Andrew Haldane, suggested that as many as one third of jobs in the UK – 15million – could be lost to automation Examples could include drivers replaced by autonomous vehicles and administrative staff replaced by intelligent assistants like Alexa. Moreover, it’s not just low-skill jobs that are now under threat. In the future, smarter machines and artificial intelligence could affect a much broader range of jobs, including many high-paid, high-skilled positions. Facial recognition systems, combined with ubiquitous CCTV, could call into question our privacy. The world-famous physicist, Stephen Hawking, even claimed that ‘AI may replace humans altogether’ as a ‘new form of life’ that can rapidly learn and improve, making people obsolete. So should we welcome AI’s potential or are the perceived threats too great? For more information and a full set of readings on the motion, please see the Debating Matters Topic Guide: “Humanity should fear advances in artificial intelligence”. Isaac is a psychology, sociology and religious studies student. He has a passion for psychology, and hopes to pursue it in university to research the psychology of transgender people based on my own personal experience as a trans man. Outside of school, he is an alumnus of the Advocacy Academy, a social justice fellowship for young people aged 16-20. Isaac has an interest in political activism, as well as LGBT+ rights. Melissa is a philosophy, politics and history student. She is the former Education Officer of the Richmond College Students’ Union and is currently researching the contemporary role and impact of the work of Student Unions around the UK, while sitting at the Corporation Board of her college. Melissa wants to undertake further research into the use of technology in enhancing learning and improving outcomes for disadvantaged children and those with disabilities. Outside of school she is also an athlete and a double bass player. Eventually, although she is not rushing into it, she wants to become the President of Spain. Kasim has been teaching A-Level politics and sociology at Richmond upon Thames College since 2012. He is a graduate of Goldsmiths College, University of London, where he studied BA (Hons) in sociology and politic, and completed his MA in postcolonial studies. Kasim also holds a PGCE qualification from the Institute of Education (IOE), University of London. His main interests include formation of identity, ethnicity, nationalism and multiculturalism. Lauren is currently in her second year of sixth form, completing her A-levels in English literature, French and Latin with a GCSE in Italian. She hopes to study English and French at university. She is part of the Head Girls’ team and was editor of this year’s excellent School Magazine, having contributed articles since she joined the school. On the weekend, she is to be found participating in the Guildford Shakespeare Club and recently enjoyed reading The Mandibles by Lionel Shriver. Hannah is also in her second year of sixth form, studying English literature, classical civilisation and music, as well as a GCSE in Italian. She heads the Stonewall Club at school and was featured on Buzzfeed this spring for having one of the best protest signs on the Women’s March. She is also a music scholar, playing saxophone, piano and a number of other instruments. She enjoys writing in her spare time and formed a formidable partnership with Lauren earlier this year as deputy editor of the school magazine. 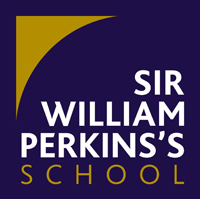 Alex teaches classics and debating at Sir William Perkins’s School.